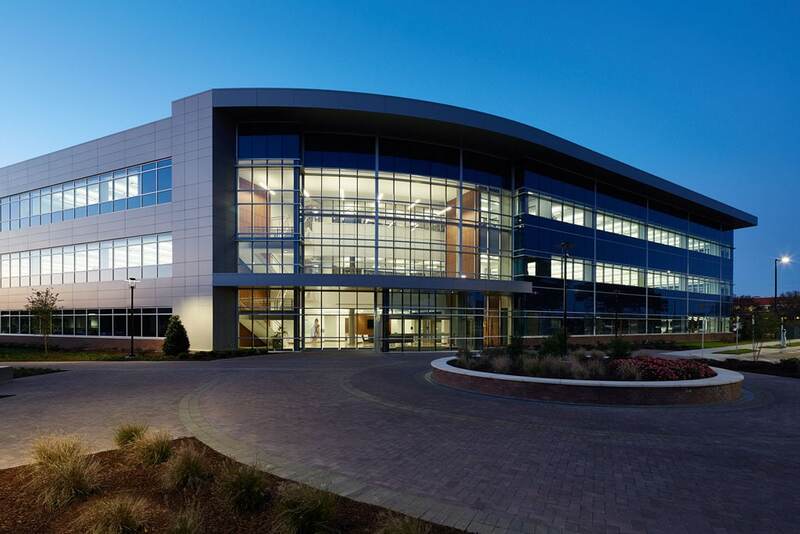 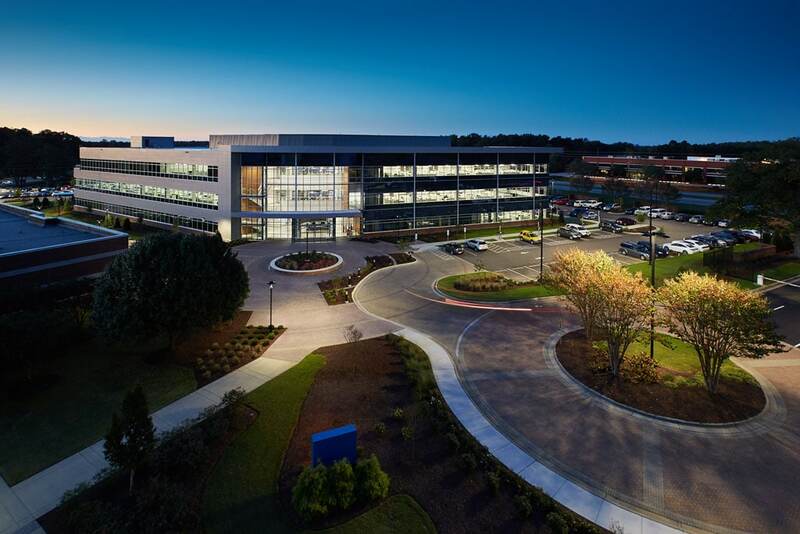 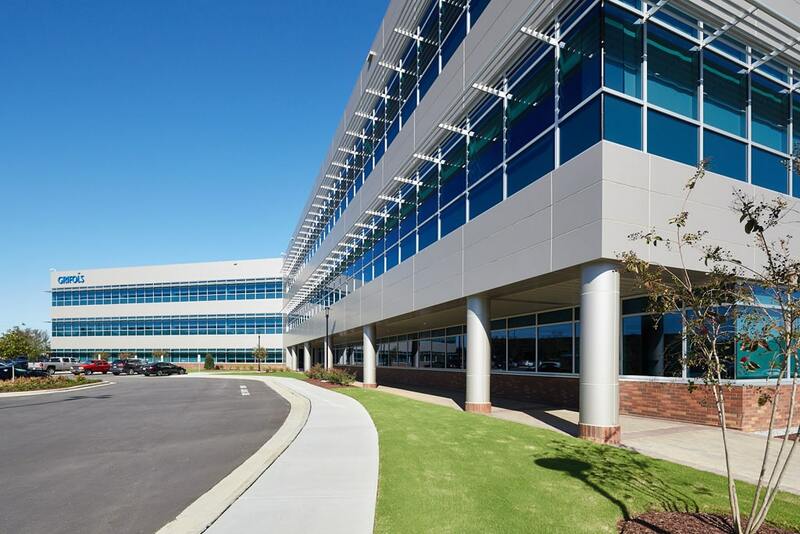 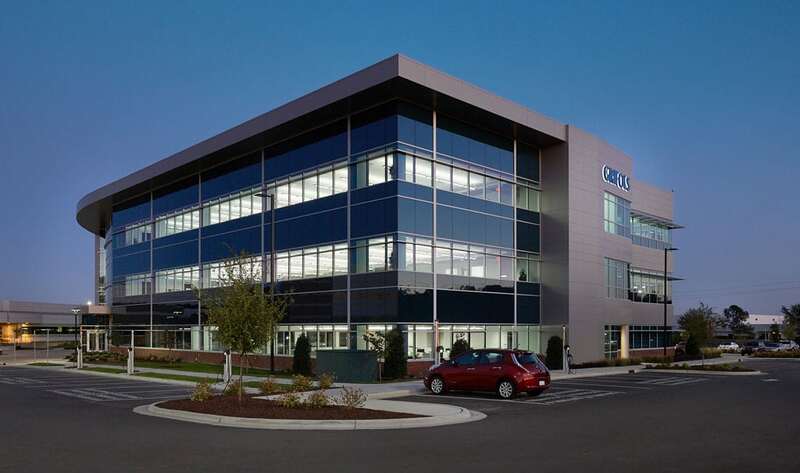 This 115,000 SF Class A corporate office building is located on the Grifols Campus in Clayton, NC. 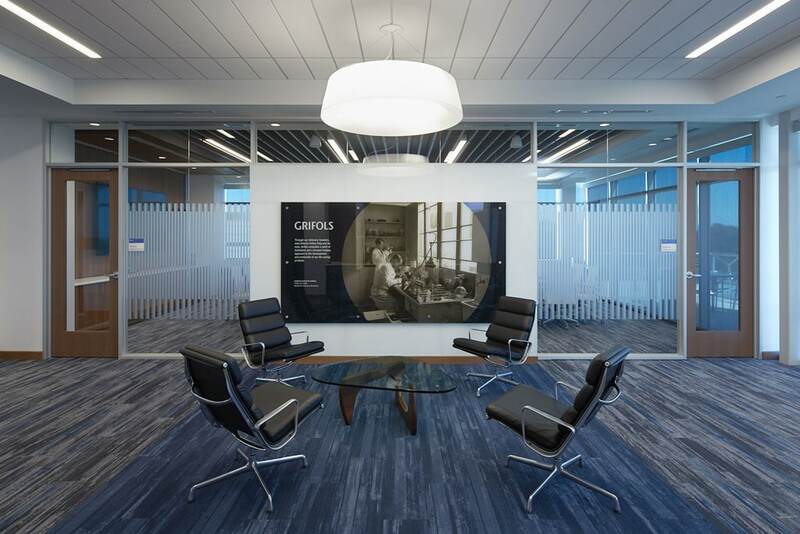 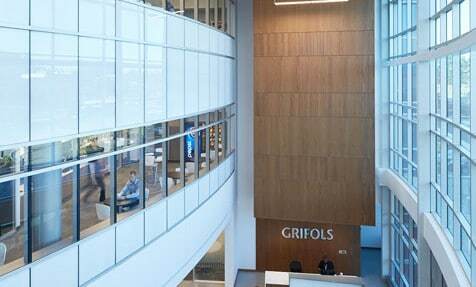 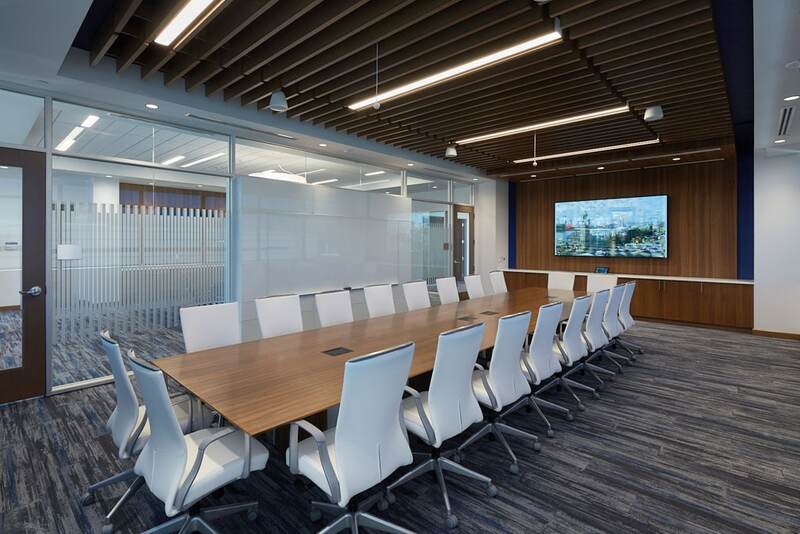 Grifols had outgrown their existing office space on campus and also wished to consolidate their office workers into one location. 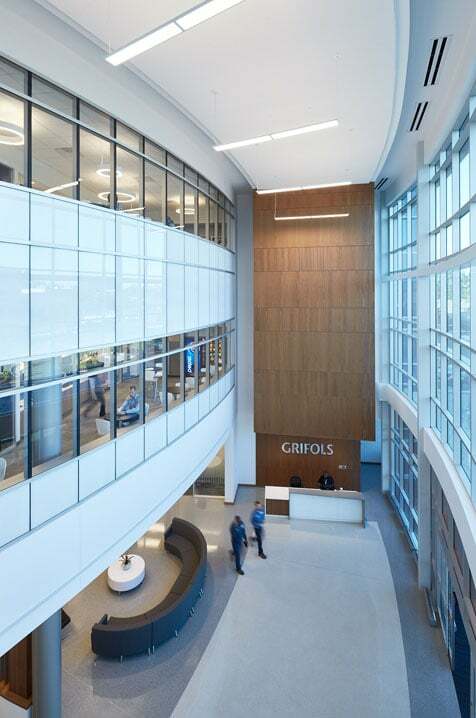 The result was a new 3-story office building that is now a showcase piece at the entrance into the campus. 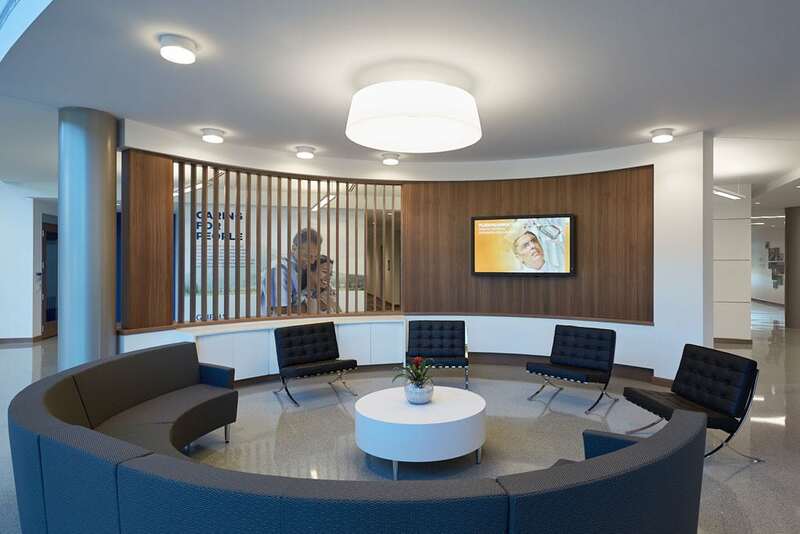 An exterior courtyard was designed adjacent to the new building to enhance its link to the existing campus. 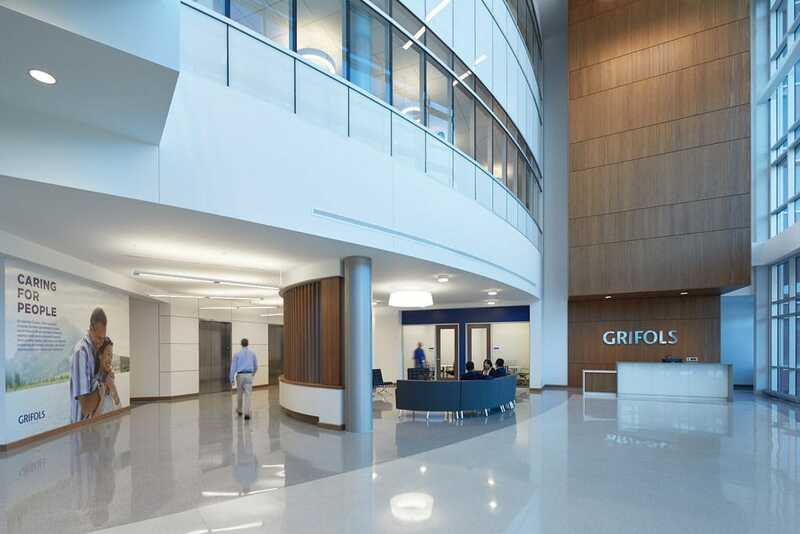 Careful consideration was given to the material selection and design of the building for it to fit into its surroundings. 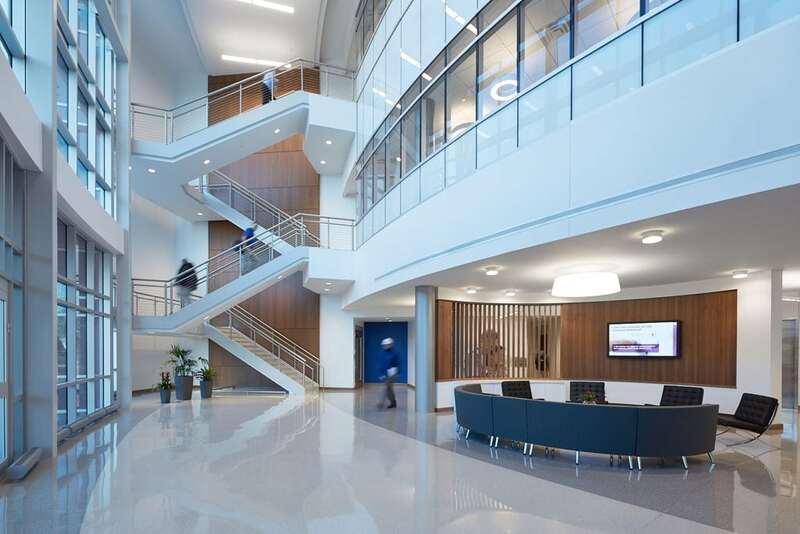 The building contains a three story atrium, an executive area with an outdoor patio, open office space, and other supporting spaces. 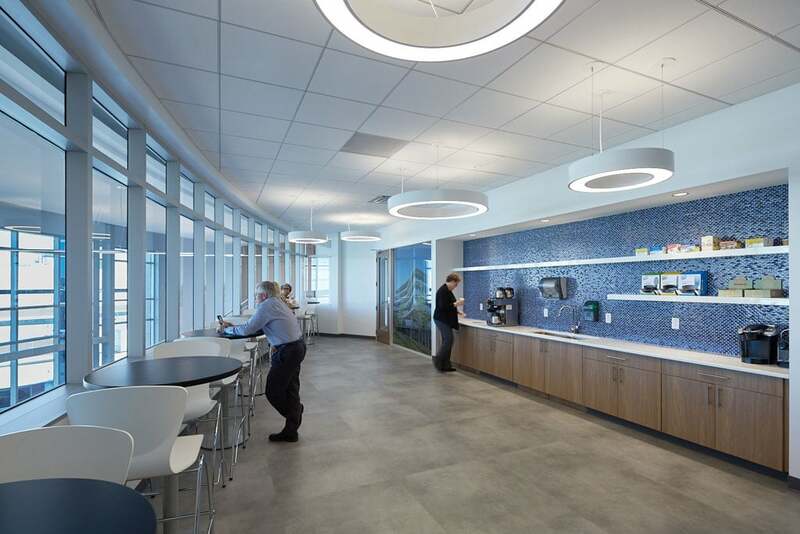 The building is designed to LEED Silver and was completed in June of 2017.